July 12th, marked the 50th anniversary of the first broadcast from the Telstar satellite, the first commercial satellite in orbit. These broadcasts heralded a sea change in the way we communicated, and laid the groundwork for many of the services we take for granted today. Telstar was one of the first satellites with a usable purpose. Up until its launch, the world’s two superpowers at the time — the US and the USSR — were more interested in one-upping each other by just proving they could put something in orbit. The Soviets were first, launching Sputnik in October 1957, which included a radio transmitter that emitted a short beep every few seconds. The US responded in January 1958, launching Explorer 1, which sent back measurements of the magnetic belt that surrounds the earth. There were other major accomplishments: the first living organism in space, Laika the Dog, aboard Sputnik 2 in November 1957; and the first telephone and TV transmissions via satellite carried by Echo 1 in 1962 shortly before the launch of Telstar. But it was this satellite, built by Bell Telephone Laboratories for AT&T that changed everything. On July 10, 1962, Telstar launched into orbit atop a Thor-Delta rocket and communicated between two ground stations, one at the Andover Earth Station in Andover, Maine, and the other at the Goonhilly Satellite Earth Station in Cornwall, England. Once in orbit, the satellite took what is called a “non-geosynchronous” orbit, which means the satellite orbited the earth at a different speed than the Earth’s rotation. This resulted in only a 20 minute window of use every 2.5 hours as Telstar passed over the Atlantic Ocean. Those first few transmissions were fairly simple: the first attempt was live video of the American flag from the Andover Earth Station. Telstar’s big test though came on July 23, when viewers in both North America and Europe were treated to the first live television satellite pictures. At 3:00pm ET, Telstar delivered portions of a press conference by President John F Kennedy, a clip of a baseball game between the Philadelphia Phillies and the Chicago Cubs, and video images from Cape Canaveral, Florida, Quebec, and Stratford, Ontario. Before its transmitters failed due to high-altitude radiation in November 1962 and then permanently in Feburary of the following year, it had carried more than 400 telephone, telegraph, facsimile and television transmissions in total. 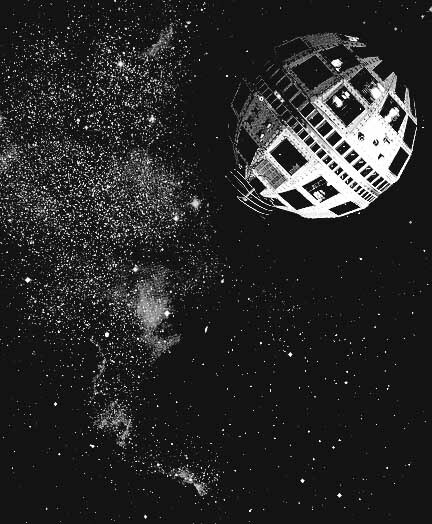 Even though it had spent not much more than six months in operation, Telstar’s effect on society was immense. The world suddenly became a whole lot smaller. The era of the 24-hour news cycle arguably got its start right here: instead of the old news reels which moved only as fast as the couriers that delivered them, pictures of world events could be transmitted worldwide within minutes. Communications also changed. Undersea cables were the go-to method for overseas communications. One break in these lines, however, and those communications could be cut off. Satellites in the mode of Telstar made possible a much more reliable method to communicate over long distances. Clough is certainly correct, but those first few transmissions in the Summer of 1962 are what changed everything.